April 15th is fast approaching. It’s tax season. I think we’re all familiar with deadlines. Some people live by deadlines while others loathe them. As a job seeker or career professional, deadlines are crucial to your success. They can make or break you. So, what are deadlines good for, anyway? I’m glad you asked! 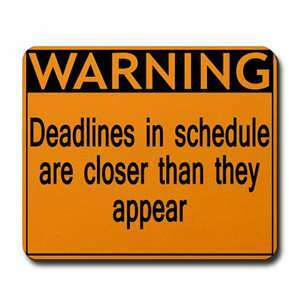 Here are few reasons why deadlines are important and tips on how to maximize your results! There for a reason. The deadline could be a test. If you’re a job seeker, pay attention to the application deadlines for career opportunities. The employer is asking two simple questions: can you follow directions? Are you able to provide info by the date requested? “Hi Jim. I just got your message about your request. I wanted to let you know that I’m working on the answers at the moment, but do have one question for you. Could you let me know how many people will be joining us for dinner tonight? I’ll need to make reservations soon. Please let me know no later than 11am CST Wednesday, April 6th. Make it crystal clear. Ever wonder why you don’t get a response from your emails or phone calls? More times than not, it’s because the action item is buried in the email. When you want a response, put the action request where it can be seen (subject line, first line of email before greeting in bold red font if needed). Speaking from experience, this works for me. My boss receives hundreds of emails a day. If I need a response quickly, I put this in the subject line and first line of the email before my greeting: ACTION REQUESTED BY APRIL 6, 2011 11AM CST. This way, she knows that I’m waiting on her response before I can move forward. It’s not an FYI email, a weekly update, or meeting request. This is what I use when I NEED a response by a deadline. Make it personal. Don’t rely on email. Sometimes it is much better to pick up the phone. I’ve found myself in this situation a lot recently. Instead of sending 2-3 emails (initial, follow up, thank you), pick up the phone or request to meet for five minutes. Or catch them when they’re getting coffee, walk with them on the way out of the office, etc. Don’t just hit send and call it good. Some people simply don’t respond to that medium very well (as frustrating as it may seem). Calling them on the phone or meeting face to face can help build a better relationship with your co-workers or supervisor. Email is tough to read when it comes to the tone. Don’t be like Douglas Adams (see quote above) and let it “whoosh” past you. Tackle deadlines head-on! Regardless of it’s your taxes, your career, or job search for that internship or full-time position, set a deadline and stick to it. Meet or exceed expectations of deadlines set for you. What are your tips for setting or meeting deadlines? I’d love to learn from you! Please leave a comment below and feel free to share this article with others. As always, thanks for reading! Previous Are You In It to Win It? I love the title and graphic for your blog post today Kirk. And the topic is so important in today’s society of overly packed schedules. The way I approach deadlines is that I use the deadline like I would a bill to pay. the deadline is the day I will start incurring a penalty, but the vendor really wants their money a few days prior. I always bump up the date for my deadlines at least two days. Most of the time this works for me. You’re absolutely right! Those bills won’t pay themselves! 🙂 A good rule of thumb with deadline (especially if you want to make a good impression) is to over-deliver. Get the info to the person a day early. Don’t delay. Thanks for the comment – I appreciate it!